After using MediaDR's marketing services you'll have a lot more customer traffic. Getting the traffic to your website is problem to overcome. When you get all that new traffic you need to be able to service it properly other wise it will be lost. MediaDR helps you build smart call centers and online chat solutions that maximize your employee efficiency in customer service. Our call centers use internet based phones, which greatly reduces your costs and gives you flexible deployment. This also enables call centers to connect together remotely. Most IP phone systems will attempt to ring a busy line before it moves on to the next attendant. Our call centers are smart enough to know when attendants are available, so your customers never wait during call routing. 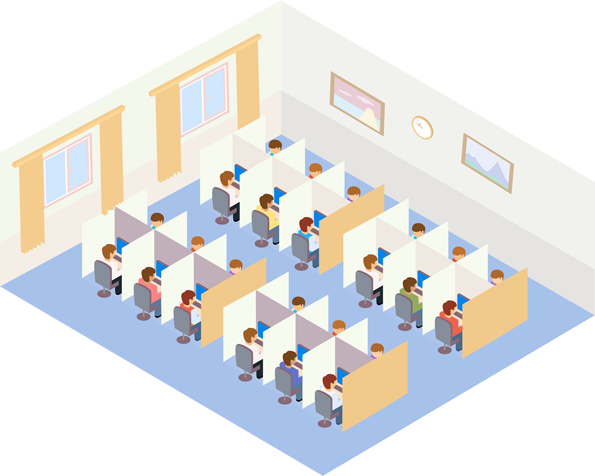 If attendants are not available, customers wait in queue and are immediately connected to the next available attendant. Tracking the quality of your customer service is essential to good marketing. Our call centers let listen into live calls (announced or hidden) and can record calls to listen to them later. Our call centers all have professional features such and professional recorded messages, department dialing, and more. We can program phone tags on your office wide system to provide customer features. It's also more affordable than typical land line and cable providers. Many people call, but other would rather talk to an online representative. All of our websites include a robust online chat system to allow your employees to handle multiple customers at the same time.